It was a very special day for Sr Bridget Tighe when she was presented with the Trócaire Inaugural Romero Award 2018 on Saturday 18 August 2018 in the Franciscan Convent Chapel Ballinasloe Ireland. This award recognises outstanding contributions to global justice. Mr Sean O’Healy led the ceremony. Sean spoke of the outreach of Trócaire and the missionary work of the Sisters of the Congregation of the Franciscan Missionaries of the Divine Motherhood. The presentation to Bridget was made by Trócaire Executive Director Éamonn Meehan. Sr Bridget also gave a speech and thanked Trócaire and all those who supported her mission with Caritas International in the Middle East – Gaza Mission and Jerusalem. Until very recently, Sr Bridget had been living in the Gaza Strip and working as the head of the Caritas Jerusalem medical centre for Gaza. Earlier this year she was asked to take on the role of General Director with Caritas Jerusalem and is since based in Jerusalem. 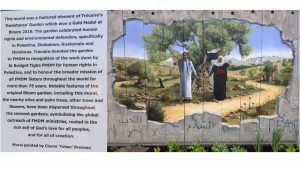 The Trócaire Romero International Award is given to Sr Bridget Tighe as a testimony to the years she has spent living and working among Jordanians and Palestinians, and especially now among the suffering people in Gaza. 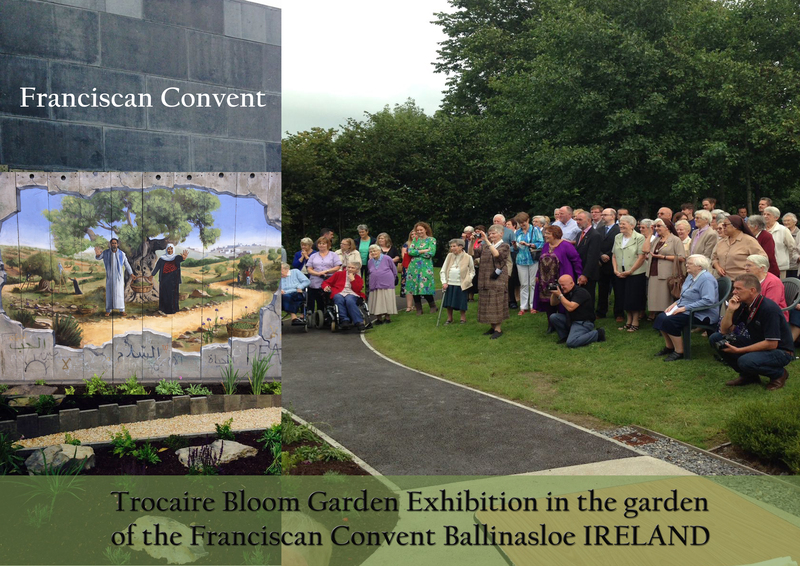 After the ceremony, guests and sisters were invited to the Convent Garden and for the blessing and installation of Trocaire’s exhibit at the Bloom 2018 festival followed by a celebratory tea. Sister Bridget Tighe; Trócaire Romero International Award Winner 2018 from Trocaire on Vimeo.